If Lewis Hamilton felt that Sebastian Vettel’s had been “lucky” to rescue a third place finish in Abu Dhabi, it was certainly not a word you could apply to the McLaren driver's own race on Sunday, or indeed his season as a whole. Although Hamilton has been effectively out of the title running for several races now, confirmation that his wait for a second drivers’ title would stretch into a fifth season, and beyond the end of his McLaren career, officially arrived under the lights at Yas Marina the moment his MP4-27 pulled off the road with a fuel pressure failure on lap 20. Martin Whitmarsh insisted afterwards that McLaren's recent reliability problems were "not related or endemic, it's just one of those things", yet the evidence suggests they and operational mistakes have nonetheless proved massively costly to Hamilton's title aspirations. 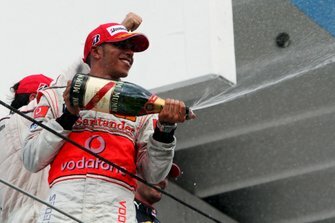 Abu Dhabi was the third time season that Hamilton could point to a reasonably certain race victory being prised from his grasp through no fault of his own. The other two were in Spain, when he was stripped of what had been a dominant pole for McLaren fuel irregularites and demoted to the back of the grid, and Singapore, when a gearbox failure struck. Had he duly won on all three of those occasions, then he would currently have 71 points more to his name in the championship (he ultimately did score four points for eighth place in Barcelona). Those additional points alone, combined with the negative knock-on effect for his rivals’ scores, would eradicate much of Hamilton's current 90-point deficit to Sebastian Vettel and mean he was very much still in the title hunt heading to Austin. McLaren also paid a big price for its early-season pit stop problems, before new Sporting Director Sam Michael and his group put in place a more reliable and faster pit-stop process. We've done some analysis on Hamilton's season; it certainly shows how things could have been very different if the team had enjoyed the same reliability and opertional record as Ferrari or Lotus for example. Hamilton’s Japanese GP weekend was also hampered by rear suspension problems, although the result he would have achieved with a fully-functioning car is hard to quantity so is left out of the sample. He also had a further DNF in Germany due to puncture damage. Of course, as in any title battle, Hamilton hasn’t been alone in suffering setbacks and both Vettel (alternator failures in Valencia and Monza) and Alonso (first-corner collisions in Spa and Suzuka) can also both justifiably point to probably more than 30 points being lost through misfortune. 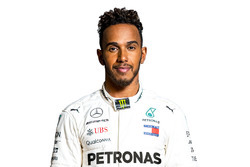 Nonetheless, with around a century more points to his name, Hamilton would be well within striking distance of the pair of them with a car capable of winning races. Even with a more cautious estimate than the one above, a more reliable 2012 McLaren would have put a very different complexion on both driver and team's final season together.